Allen Drury (1918-1998) was born in Houston, but grew up in Porterville, in Tulare County in central California. He was descended multiple members of the Massachusetts Bay Colony, most notably Edmund Rice, who immigrated to the colony in 1638. In 1939, Drury graduated from Stanford and began working as a reporter from the Tulare Bee where he received recognition for his editorial writing, and then spent a year working for the Bakersfield Californian. He enlisted in the Army in 1942. He was no longer in the army in 1943. (I have been unable to find details of his military service. With the exception of some details surrounding his writing career, I have been unable to find any information about Drury not available on his Wikipedia page.) He worked for United Press International, as a member of the U.S. Senate's staff, from 1943-1945, became editor of Pathfinder magazine in 1947, then joined the Washington Evening Star in 1953, The New York Times from 1954-1959, and finally Reader's Digest from '59-62. His first and most successful novel was Advise and Consent, published in 1959. For this, he was awarded the Pulitzer Prize in fiction in 1960. Advise and Consent spawned five sequels. Drury published a handful of non-fiction and twenty novels, writing until his death from cardiac arrest in 1998. Advise and Consent takes its name from the U.S. Constitution, which states that Congress must offer advice and consent to presidential nominations for high ranking officials. In the case of the novel, this means Bob Leffingwell, a liberal who is popular with the public but controversial within Washington. Robert Munson, Senate Majority Leader, is tasked by the president to secure enough votes for Leffingwell's confirmation. Advise and Consent is reflective of the Cold War era, and its political stance is that we'll either destroy the soviets or be destroyed by them. The novel has a large cast of characters, many of whom were based off of real politicians. The confirmation of Leffingwell gets problematic, as claims that he was secretly a Communist are brought to the Senate (possibly based on Alger Hiss), and the President starts to play dirty, leading to blackmail and suicide (likely based on Lester Hunt). The story is largely a matter of dialogue, and most of the conflict is interpersonal, with the various characters each having their own agendas and idiosyncracies. The story drags at some points, but otherwise is a great example of its genre. In 1960, Advise and Consent won the Pulitzer Prize for Fiction, making it the last book on this list to have done so. 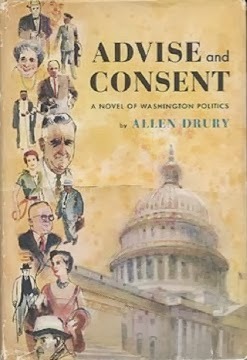 Advise and Consent has five sequels, A Shade of Difference (1962), Capable of Honor (1966), Preserve and Protect (1968), Come Nineveh, Come Tyre (1973), and The Promise of Joy (1975). An interesting note is that the last two are actually alternate sequels to Preserve and Protect, which ends with a cliffhanger. Come Nineveh, Come Tyre and The Promise of Joy each cover the same time period, but are based on different outcomes of the cliffhanger in the preceding novel. 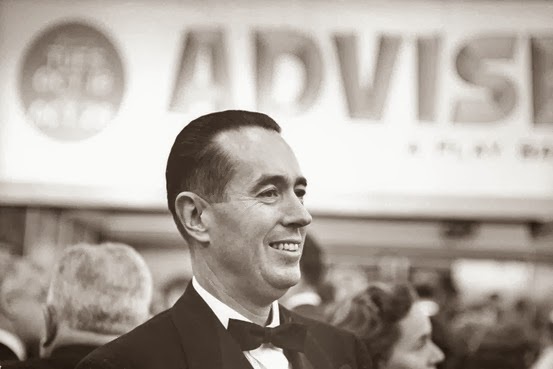 Advise and Consent was a book-of-the-month club selection, and spawned a film adaptation in 1962 starring Henry Fonda. 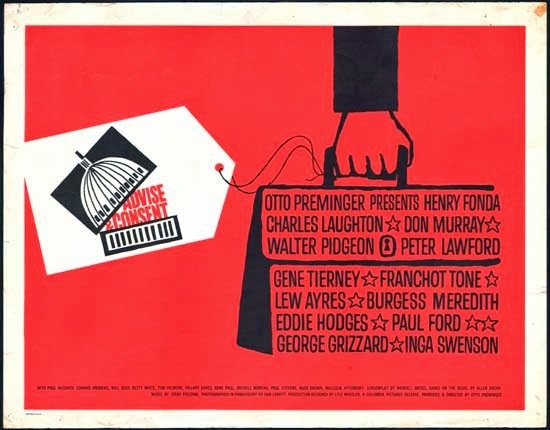 Advise and Consent is an excellent political thriller, but I don't think it transcends the genre. If you are looking to read a political thriller, Advise and Consent is definitely a good choice (although it seems to no longer be in print). Drury, Allen. Advise and Consent. Garden City, New York: Doubleday, 1959. Print.